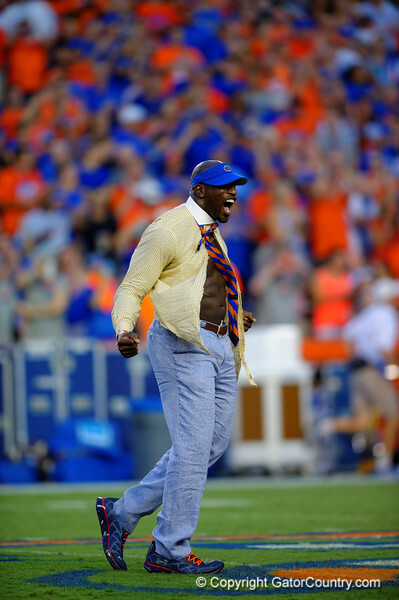 Former Gators great Thadeous Bullard rips open his shirt while performing Mr. Two Bits before the start of the game. Florida Gators vs Kentucky Wildcats. September 13th, 2014. Gator Country photo by David Bowie.